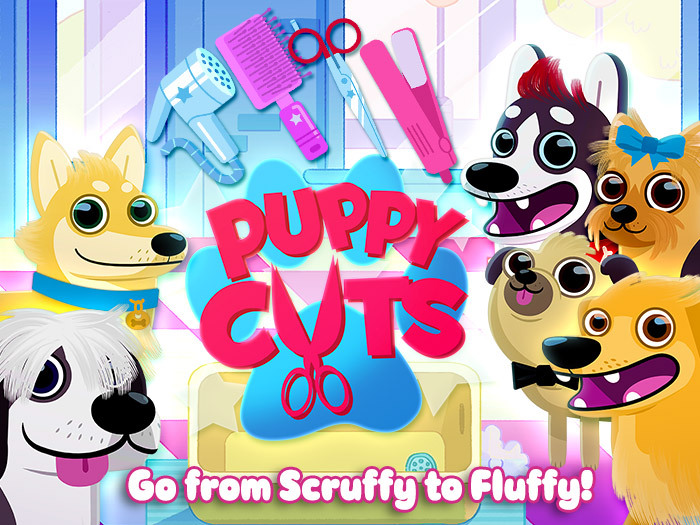 Go from scruffy to fluffy with StoryToys’ new Dog Grooming app, a delightful doggy makeover app for tablets and mobile phones. 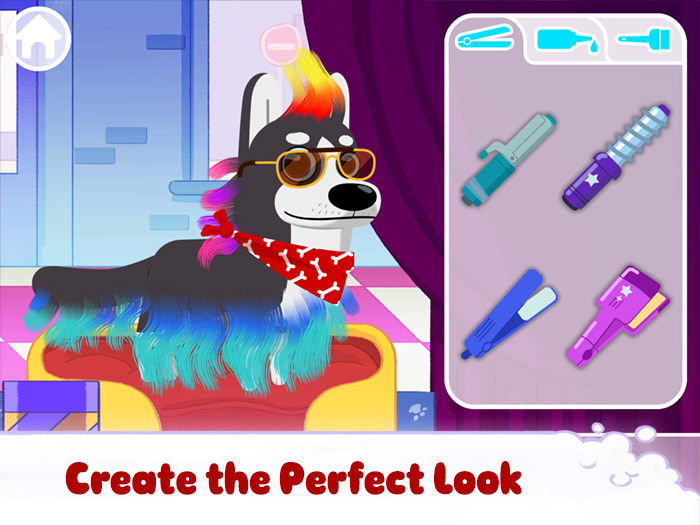 Get tails wagging as you groom, style, color and dress up your precious pooch. 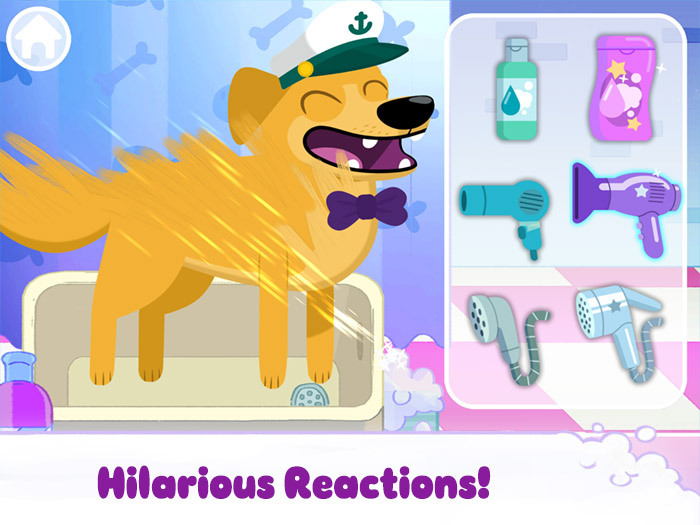 • WASH – Shampoo, rinse and dry from top to tail! • GROOM – Brush, cut, or grow longer hair with a magic tonic! • STYLE – Straighten out hair or make crazy curls! 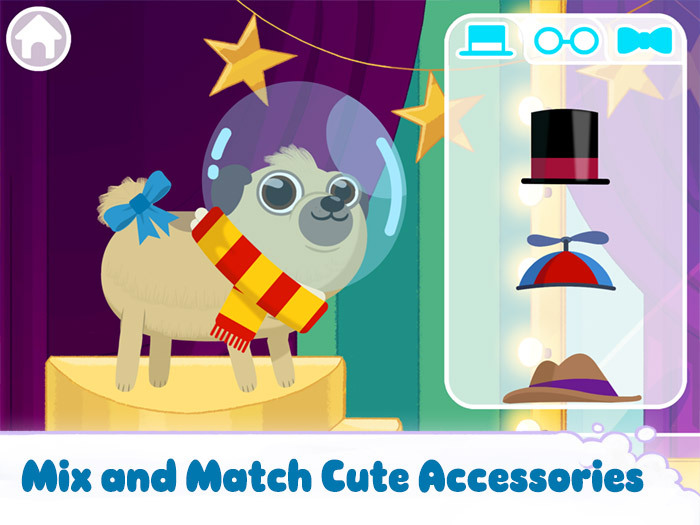 • PHOTO – Add your own background and take a snap of your pampered pup! • Enjoy hilarious reactions as the puppies wag, grin, shiver and beg!